New listing coming in 2018. This fantastic 3 bedroom 2 bath home with almost 1400 square feet has been updated throughout and offers an open floorplan that’s perfect for today’s home buyer. This home offers many impressive features, including a large open living and dining room with recessed lighting and hardwood floors. The remodeled kitchen has quartz counters, great cabinet space ,pantry, breakfast area and stainless steel appliances. The oversized master bedroom features walk-in closets, recessed lighting, newer carpet, direct yard access throuogh the sliders, and a spacious master bath with custom tile, dual vanities and more. 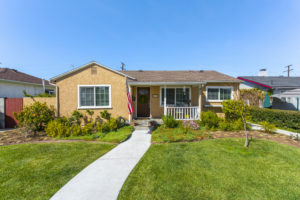 Head through the sliding doors, and enter a beautifully landscaped back yard filled with flowers, grassy yard, fruit trees, and spacious patio that is ready for entertaining friends and family. 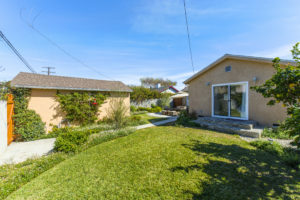 The property located in the great neighborhood area of Torrance with easy access to shops and freeways and walking distance to the famous Galleria Shopping mall. 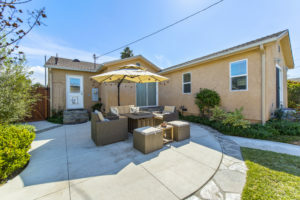 Contact Torrance listing agent Keith Kyle for more information.